My horticulture teacher Dan shared with the class a way that professionals grow trees and bushes in nurseries. It’s called pot-in-pot and involves growing the tree in a plastic pot. Another slightly larger pot is sunk in the ground and the pot with the tree is put inside the larger pot. Protection from the extremes of heat and cold. The soil temperature is much more moderate. The two pots fit fairly tightly so there is not much air infiltration from the top pot to the bottom. 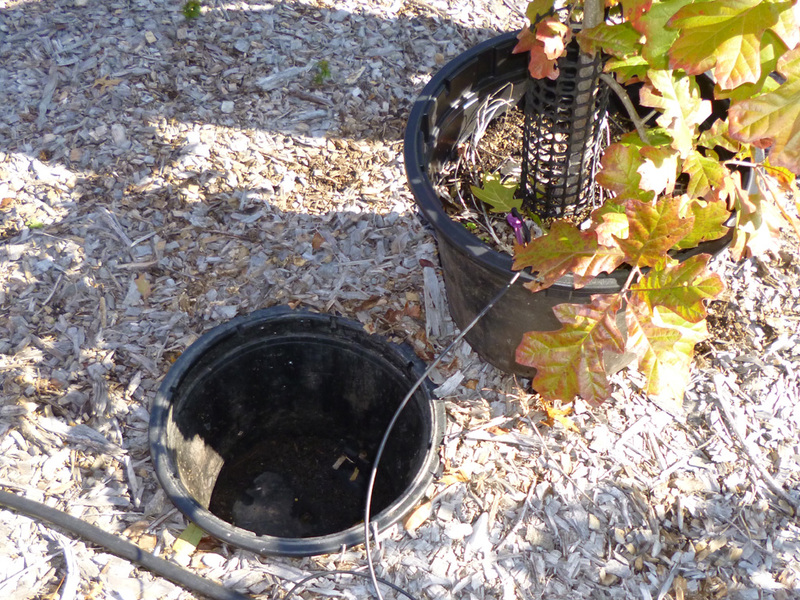 Drainage – water drains out of the top pot into the bottom pot. The bottom pot has one drainage hole and I noticed that there is space below the pot for water to drain. Easy to water – the schools systems uses drip irrigation above ground which does not freeze and break. Their biggest problem are rabbits which chew on the plastic. Roots have a harder time leaving the pot and establishing themselves in the surrounding soil. Some pots even have rollers so that you can turn the pot every month or so to break off any wandering roots. I will try this system out with some of my trees and plants which are a bit invasive. Pipevine, common milkweed and paw paw all want to spread out and this system should keep them in check. I have located a source for these pots at Hummerts, but they don’t sell them individually. The item # is 14-9702. The problem is that they don’t sell them individually and they are quite expensive. The largest Grip Lip containers cost $10 to $15 each and the cheaper liner costs a bit less. The school uses two different size pots 19″ wide x 15″ deep and 15″ wide x 12″ deep. I’m going to try a large-box store solution and will add it to the post later. Theoretically, I could even use a 5 gallon bucket, drill in holes in the bottom for drainage, paint it brown and use it as my in-ground pot. My instructor also mentioned that I might be able to get some old pots from a nursery that are being sent for recycling. 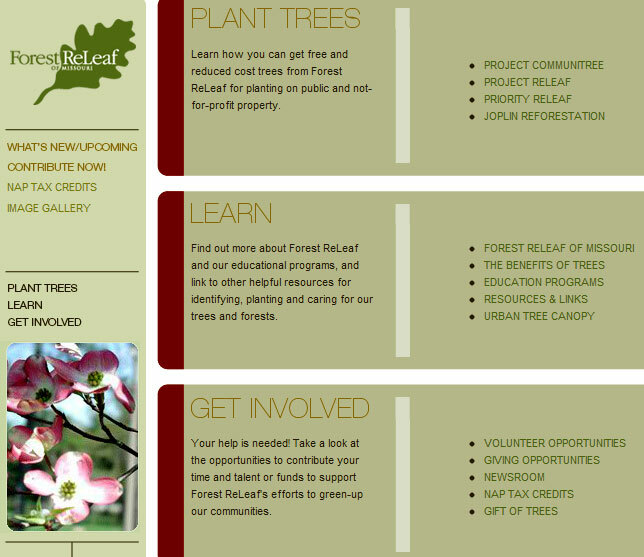 I just donated some hop tree seeds to Forest Releaf of Missouri. They will give out free trees to plant, although supplies are obviously limited. Here is the current list. Here is their contact information. Email info@moreleaf.org, call (314)533-5323, or call toll-free 1-877-406-6867. If you’re a resident of Missouri, you can now order trees and bushes for $1 each or less. They come bare-root and in bundles of ten, so you may want to share some with your neighbors and friends.